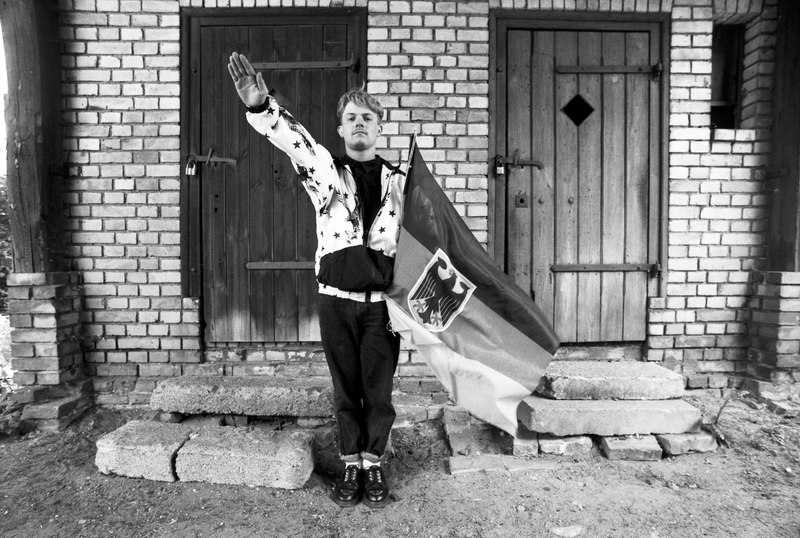 Ludwig Rauch offers us unique insights into the militant Neo-Nazi scene of the early 1990s in eastern Germany. Members of this milieu later gained notoriety as convicted arsonists, murderers, and terrorists. 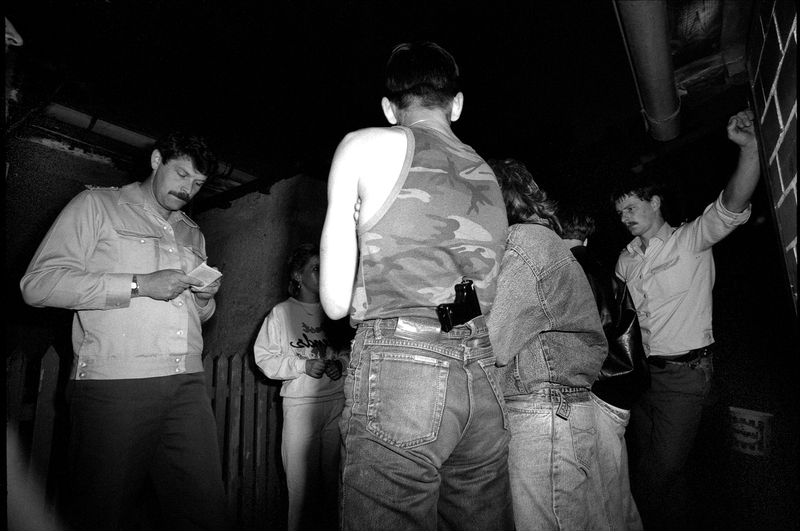 Our editors Jakob Ganslmeier and Roman Kutzowitz interviewed witnesses and activists, revealing ideological continuities that have outlived every historic upheaval and that lead straight from the GDR era into the ongoing period of right-wing terror. 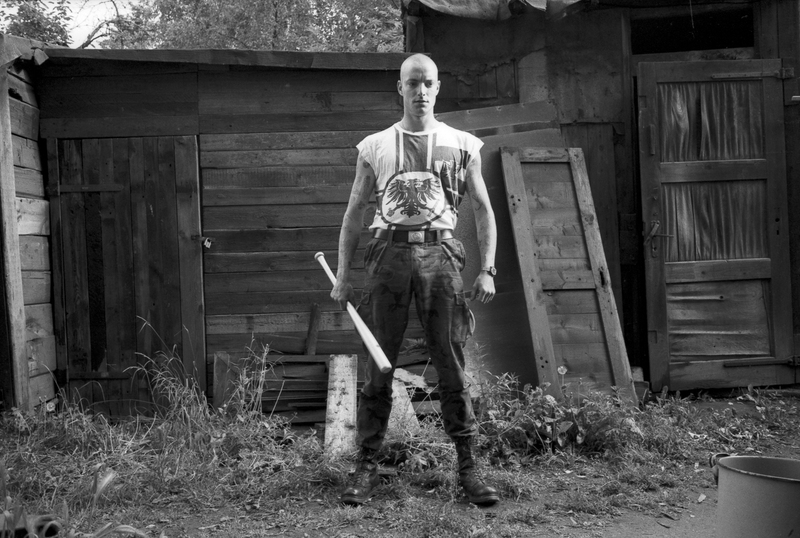 >For a long time, especially in the states formerly belonging to West Germany, people made fun of the “stupid skinheads from the lowlands” -neo-Nazis were dismissed as an East German phenomenon and their significance was played down as being a rare, marginal issue. Since the series of murders perpetrated by the National Socialist Underground (NSU), it has no longer been possible to brush the issue under the carpet. Far too long, nationalist attitudes (in the Pegida movement, for example), sympathy with neo-Nazis, politically motivated violence, and arson attacks on asylum centers have been ignored. For too long, we all looked the other way. For too long, the dangers and the appeal of the political right were trivialized. One thing is clear: the conservative middle classes have had enough; taking a political stand against this shift to the right is more important now than it has been for a longtime. Where has this shift to the right come from? Why is it now suddenly coming to the fore? Why is it so powerful? And how could it have hidden under the surface for so long? Let’s take a look back to the period when the seeds of today’s right-wing terrorism and the nationalism were sown. In cream-colored prefabricated buildings, which had clearly seen better days even before German reunification, a generation of young people was growing up in East Berlin and across the whole of the GDR, who were completely committed to the nationalist cause. 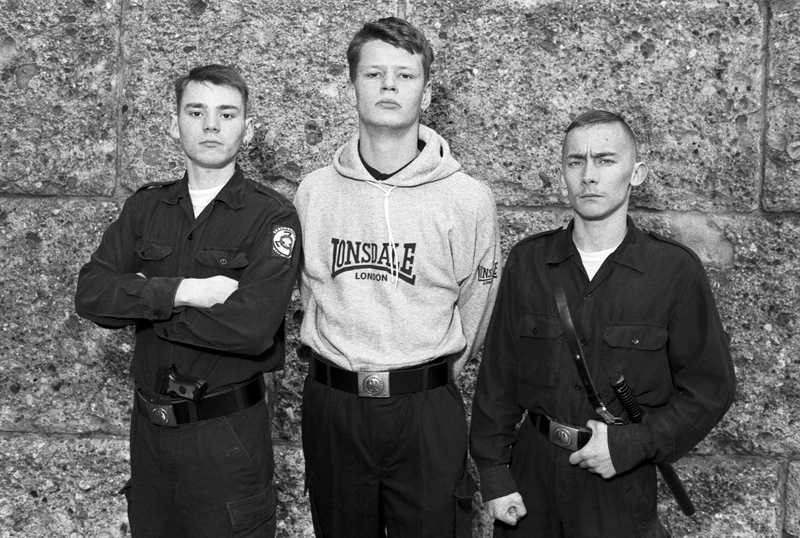 They were textbook neo-Nazis; they wore clean T-shirts, had their hair cut short and, with their orderly appearance, radiated self-confidence, autonomy and strength. 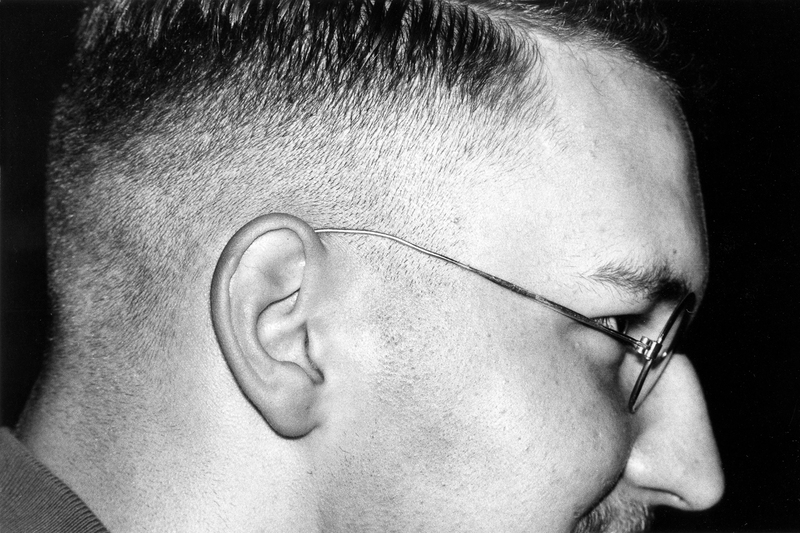 This look, coupled with the ideology, quickly became a trend in the 1980s: it was cool to be a neo-Nazi. 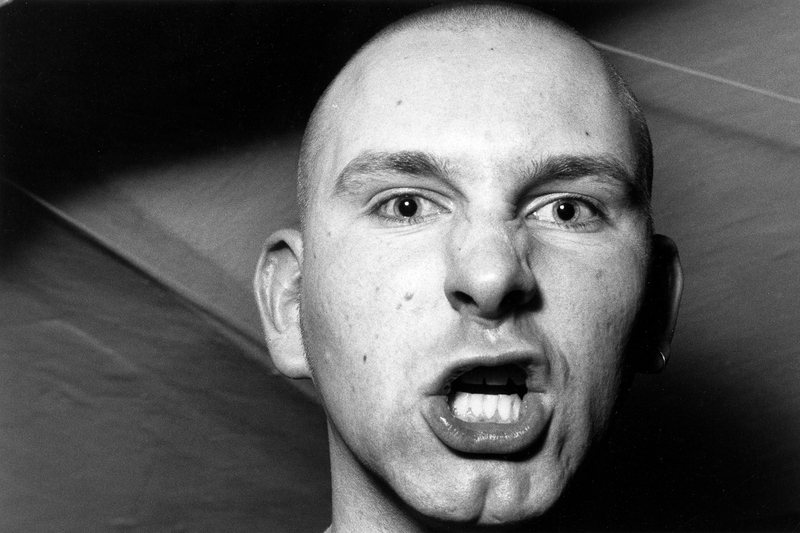 In 1988/89, Bernd Wagner was head of the “skinhead” team within the main Criminal Investigation Department in East Berlin and was also in charge of the extremism/terrorism department at the GDR’s national crime agency. According to his investigations, the process of criminalizing and radicalizing neo-Nazis had nearly reached completion in 1988. Wagner believes there was a long chain of errors which had led to young men and women being radicalized, beginning with ignoring and trivializing the neo-Nazi problem. 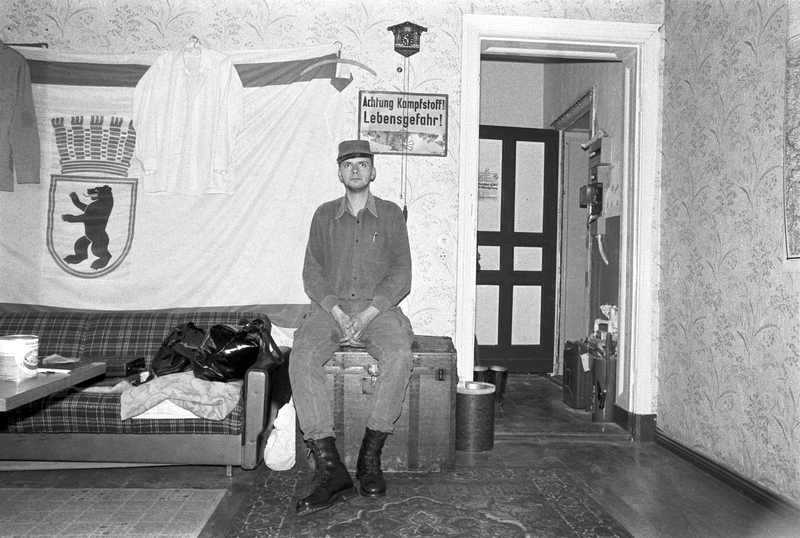 The primary focus for the East German police force and the Stasi was people attempting to escape the GDR and individuals dubbed as “suspicious people”, that is to say, those who were critical of the state. They faced interrogation for days on end and imprisonment, even in padded cells such as those used in psychiatric hospitals. Neo-Nazis, however, although still pursued by the authorities, were never classed as dangerous. Their punishments included, for example, being sent to the infamous military barracks at Eggesin in the Uckermark region of northeastern Germany. According to Wagner, this was totally counterproductive: it was where many neo- Nazis were given a taste of discipline, along with professional physical training and schooling in the use of weapons, i.e. they were trained in precisely those skills and virtues that would be useful to them in their future activities. The barren and sandy landscape that also lent Eggesin the nickname “sand sea” also offered motivation for the young men, partly because it represented the ideal conditions within which they could imagine Rommel’s African campaign having taken place. If they were convicted of another crime after being released from the barracks, they would then be faced with imprisonment in a separate Stasi-run jail. However, they would come across other like-minded young people there, in particular, die-hard Nazis who had been imprisoned after 1945 in the course of the denazification process. To a certain degree, they were able to feed their young successors with “first-hand” right-wing ideology, in return for which they were hero-worshiped by the young neo-Nazis. neo-Nazism reached its peak during the period of German reunification (1989-90), when its power was fully unleashed. According to Andre*, an antifascist activist at the time who was interviewed during the course of this project, weapons were on sale wherever you turned, offered by the Russian forces withdrawing from the country. The main buyers: neo-Nazis. 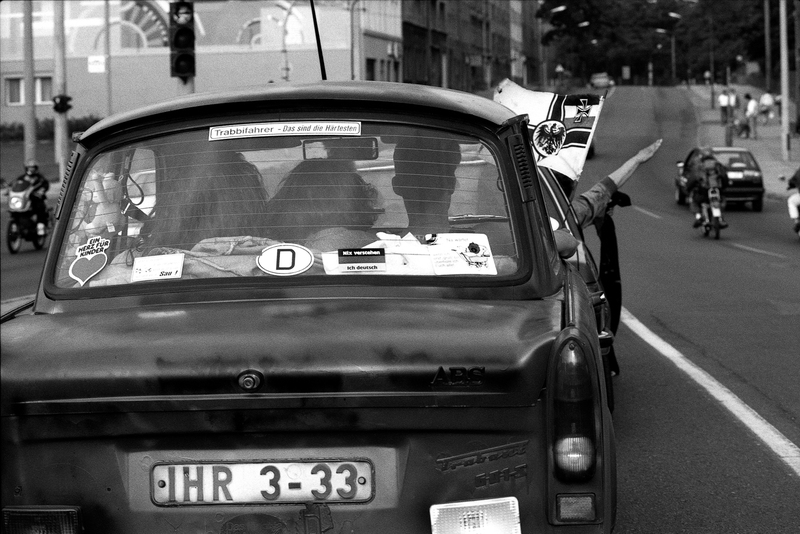 The role of the former People’s Police, the GDR’s national police force, was also completely undefined. lt had lost its authority and privileged position after the fall of the Berlin Wall, which ultimately led to neo-Nazis gaining more and more freedom for their activities. One of the centers of the neo-Nazi movement was a house occupied by squatters, located on Weitlingstraße in Berlin’s Lichtenberg district. This was where key figures in the movement lived and gathered to plan their activities, to recruit followers, and, above all, to offer training in and a deeper understanding of Nazi ideology. 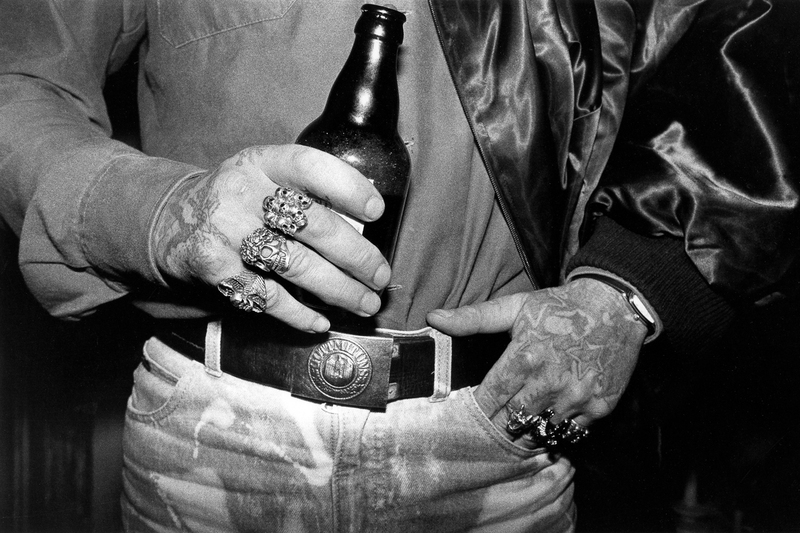 Every weekend they traveled in groups through Berlin’s Lichtenberg district, getting drunk and brawling with antifascist activists, getting drunk and chasing after people they thought were foreigners. For example, on October 7, 1990, four days after German reunification, Andrzej Fratczak was stabbed to death in Lübbenau by three German teenagers; however, there are also many other examples of violence perpetuated by neo-Nazis in this period. The neo-Nazis gained support from society as a whole: there was talk of “our boys”, and people were happy to look the other way or to do nothing – after all, they had had some practice at doing that. And what had the young men done that was supposed to be so wrong? They had cleansed the city of “leeches”: the homeless, the gays and lesbians, those on the political left, and foreigners. In short, those individuals who could only have spoiled Germany’s new, perfect, unity and harmony. 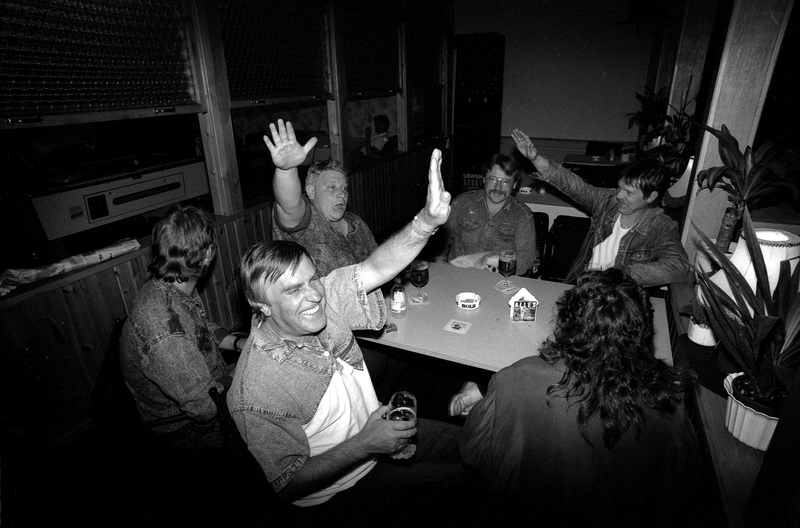 After a few beers, it was common practice to raise one’s hand and cry out “Heil Hitler”. If you subscribe to Bernd Wagner’s views, then in the interim only the terminology has changed: today we talk about right-wing populism, in the past the talk was of a national ideology, and the proportion of the citizens of the GOR that supported it should not be underestimated. Nevertheless, the question arises as to why, after the turbulent, quasi-lawless period surrounding the fall of the Wall, no consistent, legal prosecution of neo-Nazis was instigated. At the time, Bernd Wagner was invited to several conferences on the topic of terrorism and extremist movements. He reported that, despite his speeches and other reports, hardly any attention was paid to the right-wing scene. Rather, he was asked much more frequently why he was investigating this handful of “hooligans”: the primary reaction was disbelief that there was a need for this. People tried to justify the behavior of the neo-Nazis by reference to the vacuum created by the fall of the authoritarian East German regime; in these difficult times it was seen as completely normal for teenagers to run riot. The officials did not focus on far-right trends, but rather on far-left ones. Any terror threat was ascribed to left-wing groups. During this time, a hundred neo-Nazis were able to gather in Berlin’s Alexanderplatz, undisturbed, to mark Hitler’s birthday. In East-Berlin, numerous squats were founded, along with the Nationale Alternative political party (NA). By mid-1990 it already had over 600 members; among the better known ones were Bendix Wendt, Ingo Hasselbach and Oliver Schweigert. 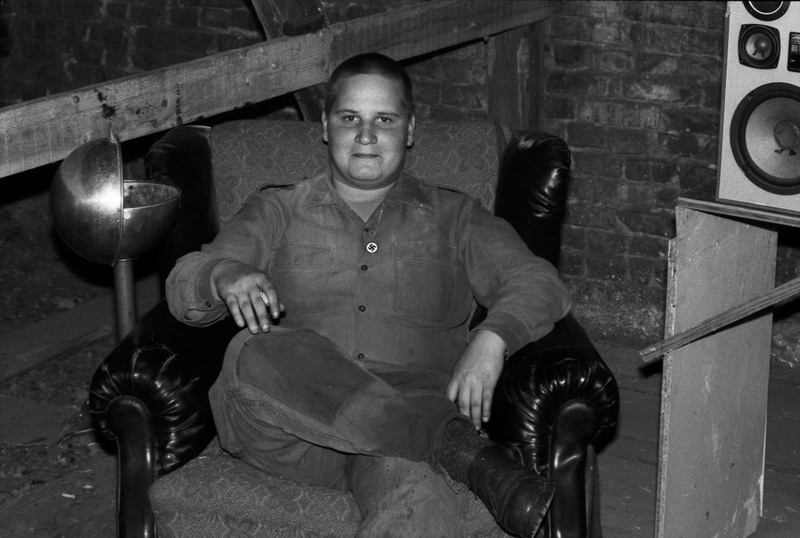 People who later left the NA reported that Wendt had been the official responsible for pararmilitary sports within the organization. As part of this role he organized regular shooting practice sessions outside Berlin. There, on the battlefields which had played host to the slaughter of the Second World War, he was able to gather dozens of hand grenades and firearms. He continued to develop his knowledge of explosives and weaponry until 1994 when he worked for three months as a mercenary attached to the 101st Brigade of the Ustase in Croatia. After providing the Austrian neo-Nazi Peter Binder (who was held responsible for numerous letter bomb attacks in Germany and Austria), with up to ten kilograms of explosives, Wendt was sentenced to two and a half years in prison. In 2002, two days before the elections for the German Bundestag, Wendt hit the Green party politician Hans-Christian Ströbele on the back of the head with a steel rod. In 2009 he was once again sentenced to one year and nine months in prison due to the prohibited transportation of explosive materials. Ingo Hasselbach also figured among the key players of East Berlin’s neo-Nazi scene and was chairman of the NA. In 1993 he was the most well-known individual to have left the movement. In his book Die Abrechnung, he describes how the party was partly able to finance itself by interviews – journalists generally paid between 200 and 1000 Deutschmarks for an interview with a leading member of the party. He also details how the NA assisted “directionless young people” on a daily basis, offering them a “home” on Weitlingstraße (of which Hasselbach was in charge). He led various militant neo-Nazi groups and, via his ideological training sessions, ensured cohesion between right-wing movements. In the sub-chapter “Zum Nazi geschult” (Trained tobe a Nazi) he describes that the large amount of media attention directed at himself was no small factor in ensuring that many young men approached him with the intention of joining one of his groups. He encouraged young people who were “frustrated” and “lacking future prospects”, offered them support, and gave them a taste of success. He let them feel important, that the group needed them, whilst in society as a whole, outside this closed circle, they tended to find little or no recognition. 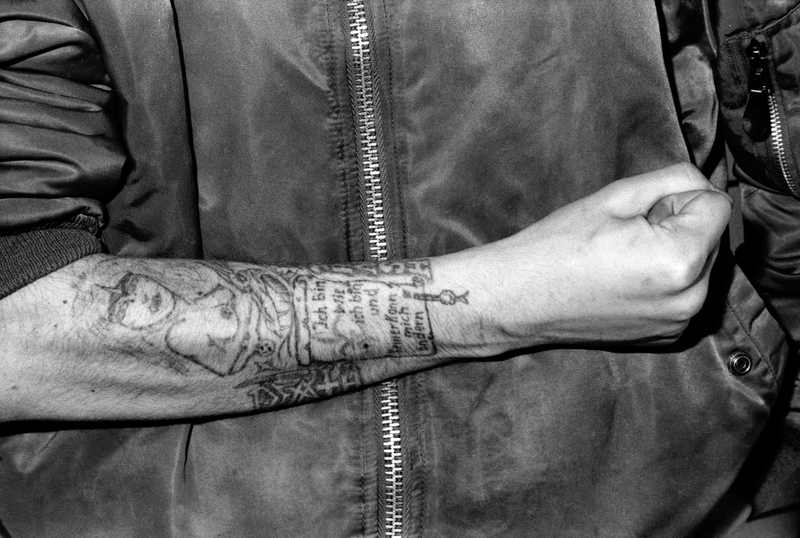 In this way, for these young people, camaraderie became “a type of drug that they were no longer able to do without”. They were isolated more and more from outside influences, thereby becoming “freely moldable”, that is, receptive to the national socialist ideology. After his departure Ingo Hasselbach disclosed all his knowledge of neo-Nazi structures to the German national crime agency. He also implicated himself by admitting his participation in an arson attack on a left-wing alternative youth club; in 1997 he was sentenced to two years of probation for this. In 2000, together with Bernd Wagner, he founded EXIT Germany, an organization to support people leaving the right-wing scene, only one of many steps taken directly against the neo-Nazi scene. Oliver Schweigert was also one of the key figures at Weitlingstraße. He was friendly with Wendt and Hasselbach, was previously the chairman of the NA, and is one of the leading anti-antifascist activists. The anti-antifascists’ goal is to publish the names and addresses of political opponents on what are known as “blacklists” or “enemy lists”. Schweigert was arrested several times – including in 1996 for the illegal possession of weapons and Nazi-propaganda material. In 1999, the police carried out a house search, finding a “blacklist” with over 60 names, addresses and photos. Currently, Schweigert is also an official working for the National and Social Coalition for Action of Central Germany (NSAM), which acts as a networking platform for groups free of right-wing radicalism in the federal states that had previously belonged to East Germany. In 1996/97, certain members of NSAM founded the Thüringer Heimatschutz (THS, Thuringian Organisation for Cultural Protection). In the THS, Uwe Mundlos and Uwe Böhnhardt were deputy leaders of the Jena chapter, while Beate Zschäpe was also a member of the group. Together these three individuals formed the core of the National Socialist Underground movement (NSU), and their terrorist crimes would later garner them attention across Germany. 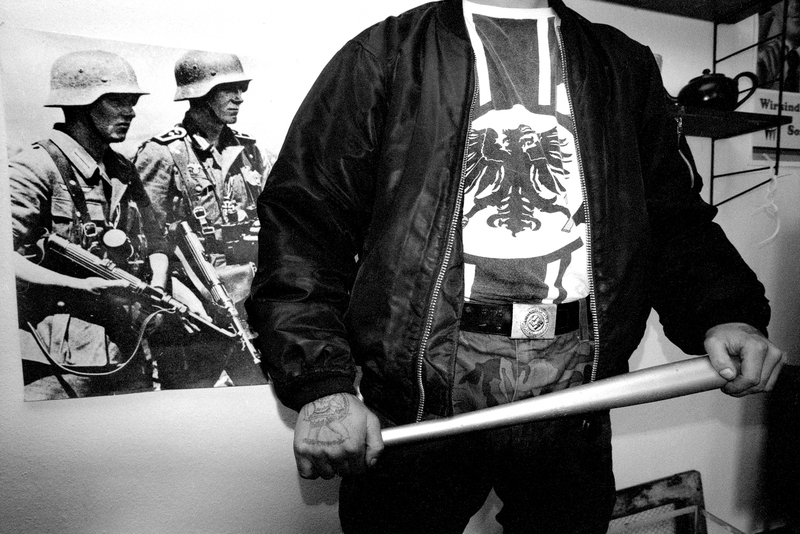 The connection between Schweigert’s NSAM and the NSU, as well as the connection between two generations of militant neo-Nazis, are examples ofthe dangerous network that still distributes propaganda and commits crimes today. In 2015 there were more attacks on refugee shelters than ever before. Today the networks of the far-right scene are the hotbed where the right-wing populism of the AfD (“Alternativ für Deutschland” political party), Pegida et. al. grows and rapidly gains new followers.